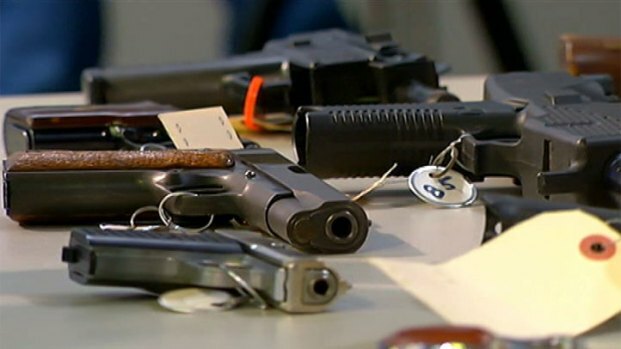 Santa Ana Mayor Planning Gun Buyback: "None of Us Are Safe"
In the wake of a series of Orange County shootings that left three slain, Santa Ana officials on Wednesday announced the city's first-ever gun buyback program. Santa Ana Mayor Miguel Pulido had said in December that he wanted the city to organize its first-ever gun buyback following Los Angeles' announcement that it would move up its annual spring gun buyback after the Newtown, Conn., massacre. City officials touted a planned program to buy back guns that are no longer wanted from Santa Ana residents on Saturday. Ted Chen reports from Santa Ana for the NBC4 News at Noon on Feb. 20, 2013. On Wednesday, Pulido cited Tuesday's killings as evidence that the city needed to work on gun violence, saying the shooting rampage allegedly committed by Ali Syed "is probably not the end." "None of us are safe," Mayor Miguel Pulido said at a news conference announcing the buyback Tuesday. "We all have to do what we can do in order to address this." 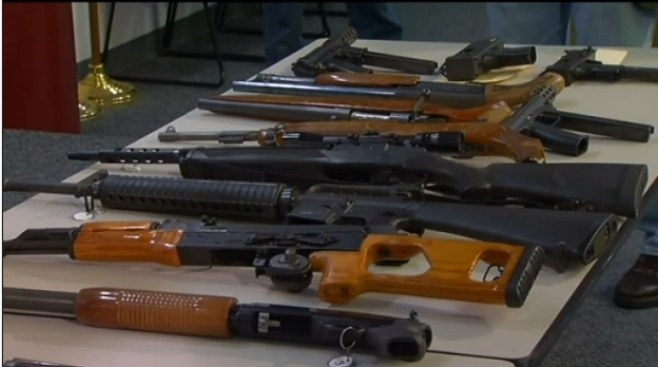 The event comes after Los Angeles' Dec. 26 event, which netted more 2,000 firearms. A Los Angeles County Sheriff's Department event on Jan. 21 in Compton brought in fewer than 400 weapons. Gun owners waited for up to two hours to exchange their weapons for grocery gift cards Wednesday as part of a no-questions-asked gun buyback. 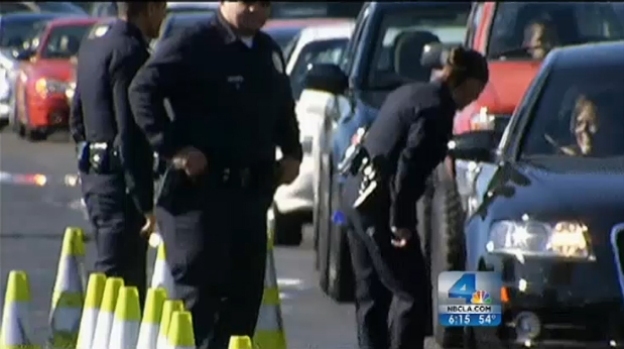 It was so popular that LAPD had to replenish its supply of gift cards with an extra $25,000. The buyback usually happens in May, but the event was rescheduled in the wake of the shooting deaths of 20 children and six adult educators at a Newtown, Conn., elementary school. Ted Chen reports from Exposition Park for the NBC4 News at 6 p.m. on Dec. 26, 2012. Gun violence has dropped in recent years in Santa Ana, but Police Chief Carlos Rojas said most guns used in crimes are stolen -- and any gun removed from circulation will help public safety, he said. "This isn't a long-term solution to stemming gun violence," Rojas said. "But what I can guarantee you is that the guns that are taken into our custody on Saturday will not be used in a crime here in our city, will not be stolen from a house and used in a crime." 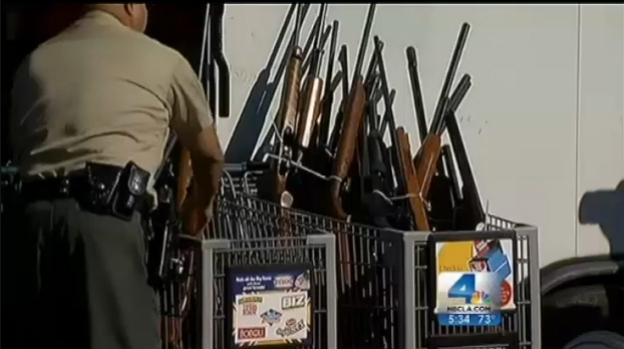 In the second LA-area gun buyback event since the tragedy in Newtown, Conn., hundreds of Angelenos surrendered their weapons in exchange for gift cards. The LA County Sheriff’s event netted far fewer guns than LAPD’s Dec. 26 event, held shortly after the Connecticut mass shooting. John Cádiz Klemack reports for the NBC4 News at 5 p.m. on Jan. 21, 2013. "All you're doing is substituting one gun for another. You're taking these guns and destroying them, and people are buying new guns to replace them," said C.D. Michel, an attorney for the National Rifle Association.